This is what we’re all about! Are you overwhelmed with where to start or how to hold yourself accountable to your goals? 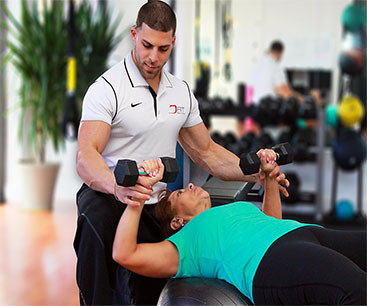 From designing a customized workout plan to providing ongoing motivation and support, your fitness trainer is dedicated to helping you achieve your specific fitness goals through an individualized approach. Enjoy the personal attention in our private gym with your fitness trainer. Programs available for all experience levels! This cost-effective option is ideal for anyone who enjoys working out with a friend or training on a budget while reaping the same benefits as 1-on-1 personal training! Working out with a friend or family member is one of the best ways to hold yourself accountable to your fitness goals.